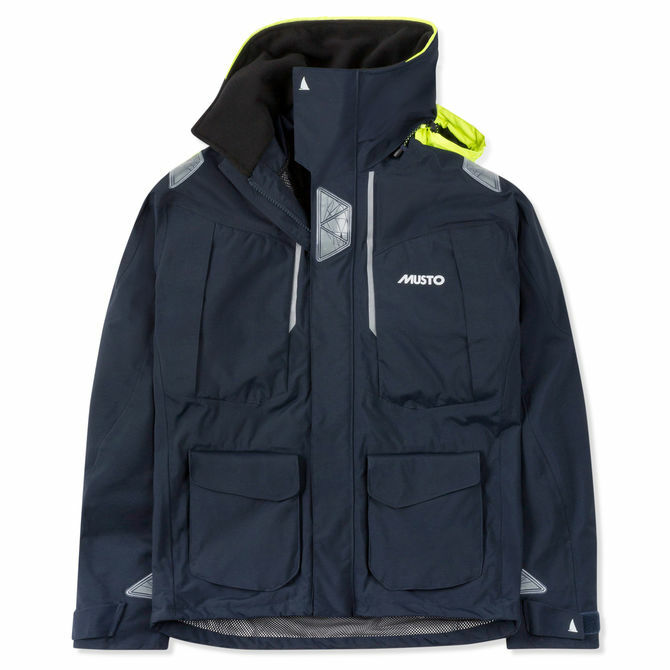 Constructed from supremely breathable, waterproof and windproof proprietary BR2 fabric. This BR2 Offshore Jacket features super-engineered double cuffs, adjustable hem, double storm flap with a drainage channel over the zip and roll-away fluorescent hood for a superior level of dryness. A technical fleece-lined collar and handwarmer pockets enhance warmth while advanced prismatic reflectors provide visibility for safety in low light.